With spring rapidly upon us and pollen attacks inevitable, one's seasonal allergies are ramping up! 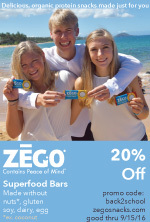 Do you need help relieving congestion? Soothing dry, irritated nasal passages? Trying to manage dried out, stuffy noses, sneezing 14 to 15 times in a row, mucous overload...I know, TMI! And sometimes, to the point of being debilitating. Ocean Saline Spray Review from S.A.F.E. Over the years I have tried multiple saline nasal sprays for myself and my kids. One in particular, by far, stands out. I find the spray is softer, not too powerful like some. The amount that sprays out is evenly dispersed every time. The best part is that it is gentle enough that even my 7 year old will use it. This time of year he becomes an avid mouth breather, his poor nose is so stuffed he can barely breathe normally. 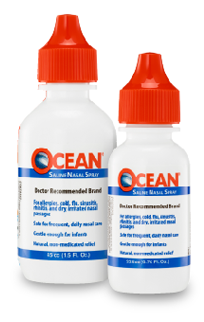 Ocean Premium Saline Nasal Spray, manufactured by Fleming Pharmaceuticals, St. Louis, Missouri. 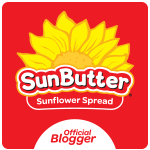 Ingredients include: A SOLUTION OF SODIUM CHLORIDE 0.65% IN PURIFIED WATER (USP), MADE ISOTONIC WITH SODIUM PHOSPHATE/SODIUM HYDROXIDE, WITH PHENYLCARBINOL AND BENZALKONIUM CHLORIDE AS PRESERVATIVES. 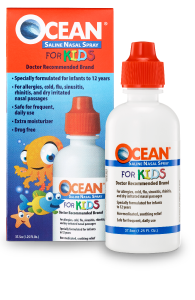 They now even have a nasal saline spray, Ocean for Kids, specifically targeting our youngest allergy sufferers. I have never seen it and will have to look locally. This saline nasal spray is going to cost a bit more than others, but it's worth every extra penny, in my allergy opinion.